Ernst Gundlach was born in 1834 in Pyritz/Germany. He was in apprenticeship at a renowned mechanician in Berlin. In his years of travel he went to Paris, Amsterdam and Vienna, and finally to Wetzlar where he got additional education at the Optical Institute that was founded by Leitz-founder Carl Kellner. There he founded a company for which he could employ the Seibert brothers who were relatives of Kellner. After closing the company he worked for British mechanicians and opticians. When he returned to Germany he founded his own Optical Institute in Berlin. Again he could employ the Seiberts. He became famous for his microscopes. After financial problems the company was taken over. Gundlach emigrated to the U.S. were he founded the microscope department of Bausch & Lomb in 1876. The company won a gold medal for its Professional-Stand Microscope at a fair in Philadelphia. But Gundlach lost his job. He founded Gundlach Manhattan Optical Co. Rochester N. Y. (later Gundlach Optical Company), together with a partner who led the company until his death in 1884. Then Gundlach became chief, and in 1889 his son Karl joined. In 1895 Gundlach left the company and founded Gundlach Photo-Optical Company so that there were two Gundlach companies in Rochester. Soon it was renamed to Ernst Gundlach, Son, and Co.. It held exclusively the patents for Gundlach's Rapid Rectigraphic and Perigraphic camera lenses. The Gundlachs left the company in 1898. 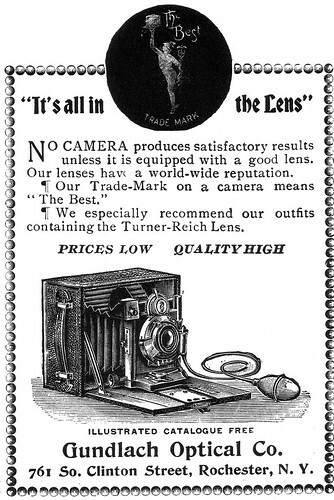 The company in Rochester was renamed to The Rochester Lens Company. Wollensak acquired it in 1905. In 1904 Gundlach returned to Berlin and founded another company. He died in 1908. 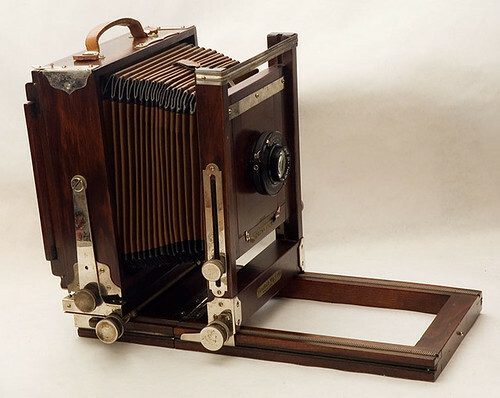 The original Gundlach Optical Company enhanced its business in 1895 by taking over the camera maker Milburn. Around that time the product palette was enriched with shutters, Turner-Reich Anastigmat camera lenses, and Milburn's Korona cameras. Later the company acquired Manhattan Optical Co. and called itself Gundlach-Manhattan Optical Co.. In 1926 it became "Gundlach Manufacturing Company". 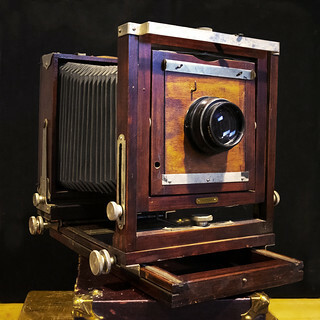 It was bought by John E. Seebold in 1928 and lasted as Seebold Invisible Camera Company (later Dynamic Optics Inc) until 1972.